Hard to say exactly where yesterday ended and today began, as we spent the night driving south from Haifa allthe way to Masada. At Masaada, two extremely rare things occurred – first, it rained on us. Second, a group of Israelis were early. So, after waiting at the gate of Israel’s most popular National Park, we began to hike up the Roman Ramp chasing the sunrise. We caught it, but unfortunately the clouds made this event somewhat less dramatic. Meeting again with our fantastic guide, Adam, we learned about the ancient people who inhabited Masada, Jews and Romans alike, and of course the heroic-tragic story of the fall of Masada in 73 CE. 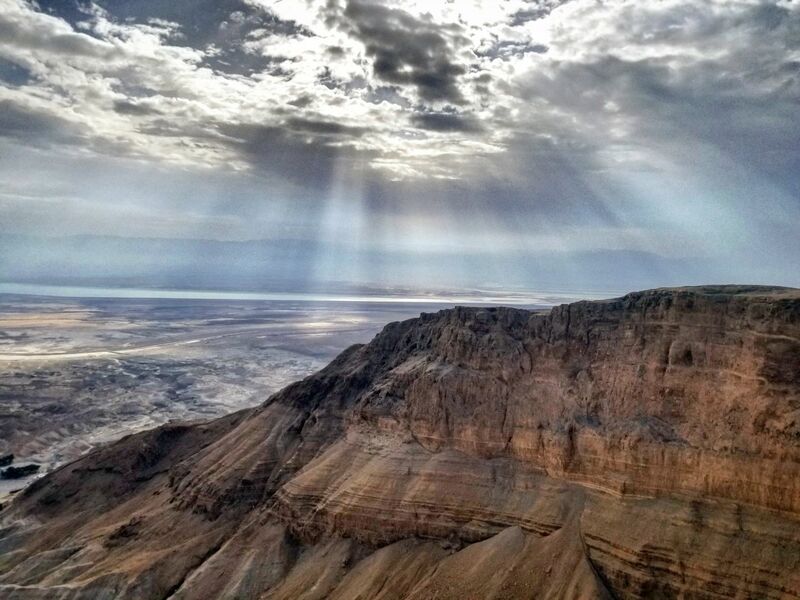 We drove from Masada through Arad to Ein Bokek, one of the more beautiful beaches of the the Dead Sea. 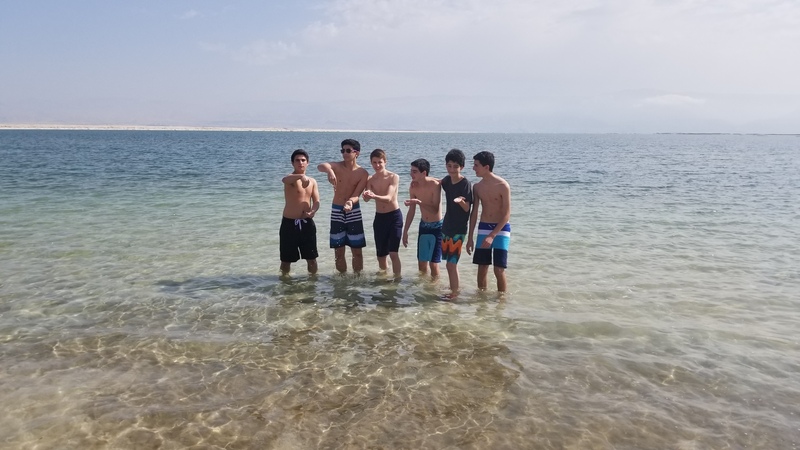 Not threatened at all by the Israeli winter, our teens jumped (or more accurately, waded) into its salty water for about an hour of relaxing floatation. We didn’t leave before some of our teens put to the test the therapeutic qualities the Dead Sea mud. The results were unclear. From the Dead Sea we finally began our ascend towards Jerusalem, to begin the last weekend of our Journey. 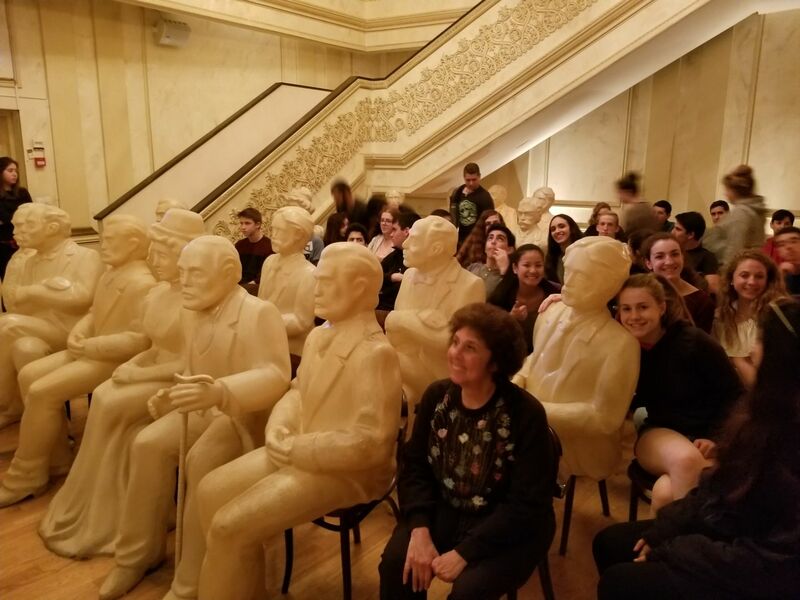 After a quick lunch break we checked into our rooms at the Bayit Vagan Guest House, and continued to the Herzl Museum, where we learned via a highly interactive exhibition about Theodor Herzl, his life, vision, the the reality into which it has turned. We are ending this rich day with dinner at the guest house, followed by some free time at the hustle and bustle of the Jerusalem promenade. After what will for sure be a very good night sleep, we will be spending Friday visiting Yad Vashem, Har Herzl, Mahne Yehuda Shuk, and have a Shabbat service at Kol Haneshama, a local reform synagogue.